A party isn’t a perfect party without guests but working out who to invite and getting them to actually come can be a potential headache. In this post we share the top 3 questions you need to ask yourself to get your guest list right. 1. Who Do I Want To Invite? There are lots of factors to consider when working out your numbers; the venue size, the mood of the party you want to create, the reason for the gathering and your budget. A venue will give you a maximum number, it is very important you stick to this, it will have been worked out with health and safety regulations in mind and you don’t want your party to be remembered for the wrong reasons! Don’t forget, this is YOUR party try not to get caught up in the politics of invitations. 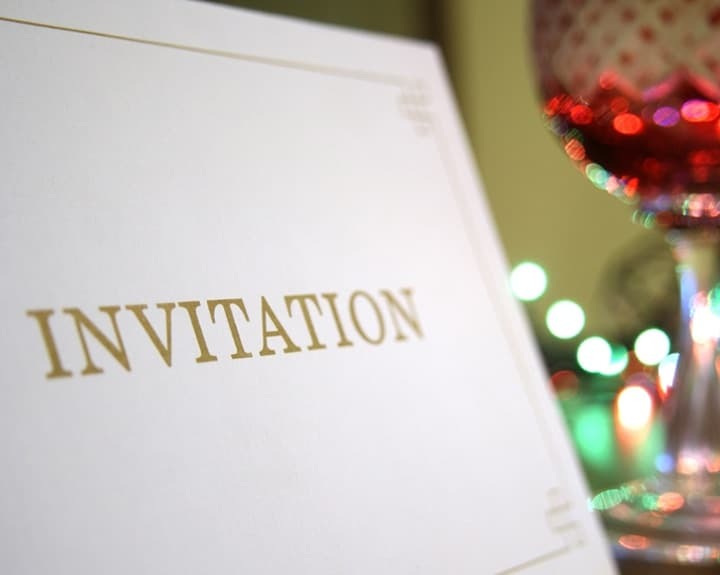 It isn’t uncommon for invites to be sent out to people based on the host feeling guilty or pressured. It is important not to sacrifice the people you really want to invite for those you think you should. Make a list of those who are most important to you and write their invites first, the rest can go on a maybe list to be referred to later. 2. Can Your Guests Bring A Plus One? Again, this will depend on the amount of guests you are catering for. If the inclusion of plus one’s prevent you from inviting other people your ‘most important’ list then don’t include them. On the other hand, if you are inviting singles or people who won’t know a lot of the other guests, turning up to a party alone can be daunting. The option to bring a plus one will make the party more accessible and appealing to some. The important thing is you make the rules evident, in your invitation include your decision on plus one’s clearly so there are no surprises on the night for anyone. 3. Have You Planned An RSVP system? Once your invites have gone out, some people make the mistake of thinking their job is done. Unfortunately, no matter how much effort you have put in up to this point it is pointless if you don’t monitor the RSVP’s. Firstly make it clear when the RSVP date is and how people can get in contact with you. Keep in mind people like different forms of communication. Give them several ways to get in touch to make the process as easy and flexible for them as possible. Your job is then to keep track; have a system set up beforehand and stick with it, make sure you keep a list of replies in one place. When the deadline date comes and goes, follow up. Some people will need chasing, although it may be annoying, the alternative is not knowing who is coming which is far worse. Once you have all your responses, you can then either invite additional people who were on your maybe list or plan the right amount of food and drink for those who have committed their attendance. It is your night; don’t waste it on those who are absent, regardless who did or didn’t make it, enjoy the company who made the effort to come.